I started Aikido in September 1990. 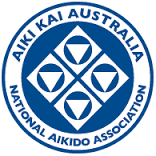 For the past 15 years I have been instructing Aikido, initially at Flinders University in South Australia and for the past 9 years I have been teaching at RMIT in Victoria. Aikido is a martial art that teaches focus, attention and awareness. These are philosophies that spill over into the business world and direct correlation with emergency management. I learned to scuba dive in 1982. After working as a Divemaster for a few years I progressed to Instructor in 1988 and began teaching regularly both at Flinders University and commercially for a local dive shop. Managing Director of CAPACITY Building Emergency Management. Graduate Certificate in Disaster Management from the International Disaster Management Centre based at Swinburne University of Technology (Hawthorn Campus). Certificate IV Workplace Trainer and Assessor. Previous clients, including Australia Post, Westfield, CBA, Brookfield Commercial Operations, Media House (The Age), CBRE, Collins Square, Aboriginal Hostels, Centrelink, Deakin University, AMP, Colonial First State, GPT, ANZ, Dexus, Jones Lang LaSalle, Austin Health, DHS, Knight Frank, Brimbank City Council, DIAC, Pacific, CASA, Downer EDI, Elizabeth St. Pier (TAS), Etihad Stadium, Fitzroys, ISPT, Lend Lease, Manningham City Council, Medicare, Savills, Wyndham Civic Centre, YMCA, HMAS Castlemaine, and Port of Melbourne Corp.
Professional associations include the Risk Management Institution of Australasia, International Association of Emergency Managers, and the International Golden Key Honour Society.